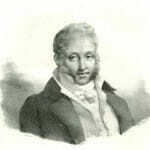 Learn how to play Ferdinando Carulli – Prelude Op 114 No 5 note-for-note on guitar. This lesson teaches the fifth of Carulli’s 24 preludes Op 114. It’s taught using a steel string, not a nylon string guitar, so isn’t intended for classical purists. Rather it’s aimed at general fingerstyle players who enjoy having a few classical pieces in their repertoire. It also makes a great fingerstyle exercise or warm-up piece. The complete file contains a lesson video, a performance play thru video, and full tabs. You’ll receive a link to download the lesson which will download as a zip file of 123 Mb containing all the lesson content. I recommend you to many people.